I wonder if I could take off with weight more than the gross weight stated in the POH of my aircraft as long as I take off with a higher speed? I think I have done it once by mistake. Can you take off over gross weight? Yes, it's possible on any airplane, dependent on how far over the weight limit you are, the density altitude, how much runway you have, what obstacles are in the area and other factors. It's very easy to go above gross in a Cessna 152 with full fuel and 2 passengers, and probably happens more often than people realize or own up to. That doesn't make it a good idea, which is why pilots are trained to do weight and balance plus performance calculations before every flight. Besides the safety angle, taking off over gross weight could land you in trouble with the FAA even if nothing goes wrong, you can lose your ticket for that. If there was an incident your insurance may not cover damage or litigation costs. There are margins, but you don't know what they are. So you might already have been flying within those margins, and thus got away with it. But if you don't know what the margins are then you can't guarantee to stay within them. One thing that hasn't been mentioned yet is CG. Often CG is what will get you. On many aircraft the places that you are putting the weight has considerable arm from CG. This means that you are also shifting the CG. I have seen for instance Cessna 402 loaded amazingly over gross with the load as far to the front as possible. However Google Aaliya death and you will see what happens when the CG is too far aft. All in all it's a bad idea to fly over gross, and it is death to fly out of CG especially aft. Physically, yes the aircraft can take off at or above MTOW - and depending on the aircraft and ambient atmospheric conditions, can takeoff and fly at a considerably greater weight than MTOW. The problem becomes that the values for MTOW were decided upon during design and flight test, taking into consideration a wide range of operating conditions plus design structural static and maneuvering loads on the airframe and landing gear. 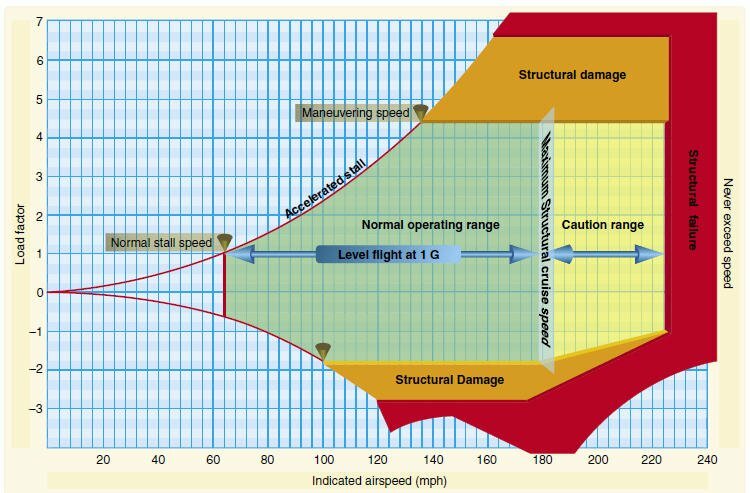 Unless you are very familiar with these numbers, you can risk structural damage to the aircraft during ground roll, stability during ground movement operations, maneuvering and landing the airplane. In addition, you have no known values for performance data on the airplane in terms of length of ground roll, takeoff distance to clear obstacles, maneuvering load limits, rates of climb and and climbing distances, stall recovery characteristics, etc. Therefore, in loading an airplane beyond what the manufacturer states for an acceptable weight and balance envelope, you are now swimming in unknown and potentially very dangerous, waters. Otherwise smart and rational people die all the time doing stupid things like this in airplanes. No person may operate a civil aircraft without complying with the operating limitations specified in the approved Airplane or Rotorcraft flight manual, markings, and placards, or as otherwise prescribed by the certificating authority of the country of registry. Overloading also could easily be cited as a violation of §§91.13 Careless and Reckless Operation and §§91.7 Civil Aircraft Airworthiness. The bottom line: Don't try it. You don't want to break the law or worse, find out the hard way that your guestimates on the plane's performance were incorrect. This is a bad idea for a host of reasons, but structural failure is one of the worst. Sensitivity to gust load is increased when overweight, reducing the designers G load margin. Consider an airplane that has a maximum allowable gross weight of 3,000 pounds. If it encounters a +30 fps gust that results in an additional 2-g load factor, the airplane experiences a total of 3 Gs load factor. Multiply the 3-g load factor by 3,000 pounds and the wings are supporting 9,000 pounds. Assume the airplane is loaded to 1,500 pounds and that it is subjected to the same gust. With half the inertia, the gust acceleration is doubled, causing the airplane to experience a 5-g load factor (4-g force plus 1-g level flight). Multiply 1,500 pounds by 5 gs and the wings are supporting 7,500 pounds. The lightly loaded airplane is subjected to 1,500 pounds less load when encountering the same gust. Even though the heavy airplane realizes less load factor, it incurs more strain. The pilot recognizes load factor; the airplane recognizes load. You should not do that; see the example of the Colt Richter who crashed his plane after overloading it. Not the answer you're looking for? Browse other questions tagged general-aviation takeoff weight-and-balance aircraft-limitations poh or ask your own question. Is the climb rate different for short-haul flight and long-haul flight? What are the meanings of various reference lines and sections in a take-off distance graph? Why does maneuvering speed vary with weight? How reliable is the Airbus FAC calculated gross-weight? Is it normal to take off with limited flaps on a B737? How dangerous is to take-off and fly with snow on the wings? Could an aircraft like a Boeing 777 take off with flaps fully deployed? if your Seneca weight is 4000 pounds , and you have 800m visibility, would you take off? What is the gross weight limit for a Light Sport Aircraft?